Key members of Africa’s financial community are meeting Aug. 1-2 in the Democratic Republic of the Congo to explore solutions to some of the region’s most pressing challenges: employment, food security, poverty reduction and energy access. The meeting’s focus on ways to create decent jobs is very timely. North and sub-Saharan Africa, along with the Middle East, are expected to experience a growth spurt in their labor forces in coming years. Up to 15 million new jobs will be required in these regions every year to avoid an increase in unemployment rates, according to the International Labor Organization. The Africa Caucus Meeting is expected to focus particularly on youth employment, which was among key drivers of demonstrations that swept North Africa in 2011. Africa also has some of the highest youth unemployment rates in the world. The latest ILO report on global employment trends estimates that 27.1 percent of youth in North Africa and 12.8 percent of youth in sub-Saharan Africa were unemployed in 2011. Food security is another of Africa’s long-standing challenges. Cyclical droughts have hit various regions of the continent in the past years, with the latest one in the Sahel region and one of the worst in recent history in East Africa, particularly Somalia. The food crises in both regions have affected millions of people and remain key concerns, despite the United Nations officially declaring the Somalia crisis over in February. Among possible related topics to be discussed at the Congo meeting is a proposal to create an African-financed trust fund focused on food security. On energy, most African countries have a long way to go to achieve universal access. In 2009, for instance, more than 560 million people in sub-Saharan Africa — or 74 percent of the region’s population — did not have access to energy, according to the U.N. Development Program. Countries with the highest percentages of people without access to electricity include Burundi, Liberia, Chad, Rwanda and the Central African Republic. Meanwhile, in overall efforts to reduce poverty, African countries post varied rates of progress. Overall poverty rates in sub-Saharan Africa fell to 47 percent of the region’s total population in 2008 compared with 52 percent in 2005. This is, however, still far from the region’s target as per the first Millennium Development Goal. This year’s Africa Caucus Meeting — which includes finance ministers and central bank governors from across the region — is also expected to attract officials of multilateral financial institutions and international development agencies. 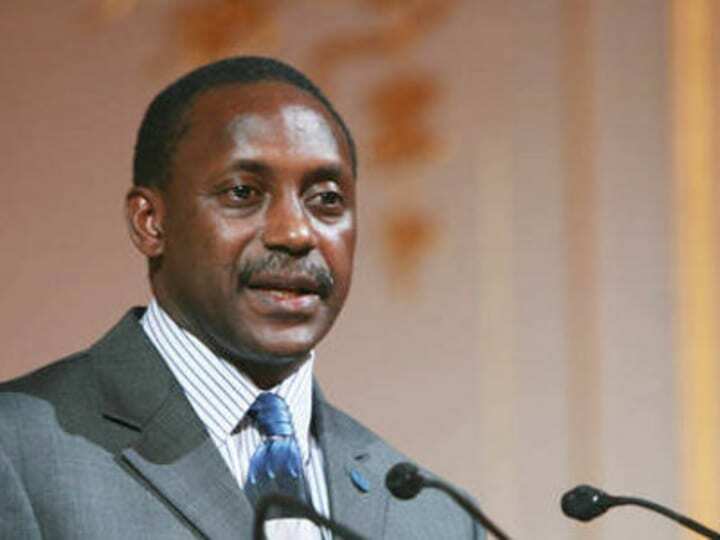 Among confirmed attendees are UNIDO Director General Kandeh Yumkella and the first vice president and chief operation officer of the African Development Bank, Emmanuel Mbi.